Update: we had 4-6" of fresh snow on Wednesday! We have new snow forecasted for Tuesday night and Wednesday! Our fingers are crossed for it to be a white Christmas..even though Mammoth has already been as fun as it can be: all the lifts at the Mountain are up and running (Canyon and Eagle Lodge opened last weekend!). The Nordic Ski Center at Tamarack has been running since the opening and locals already got a lot of mileage in..and this is not all! 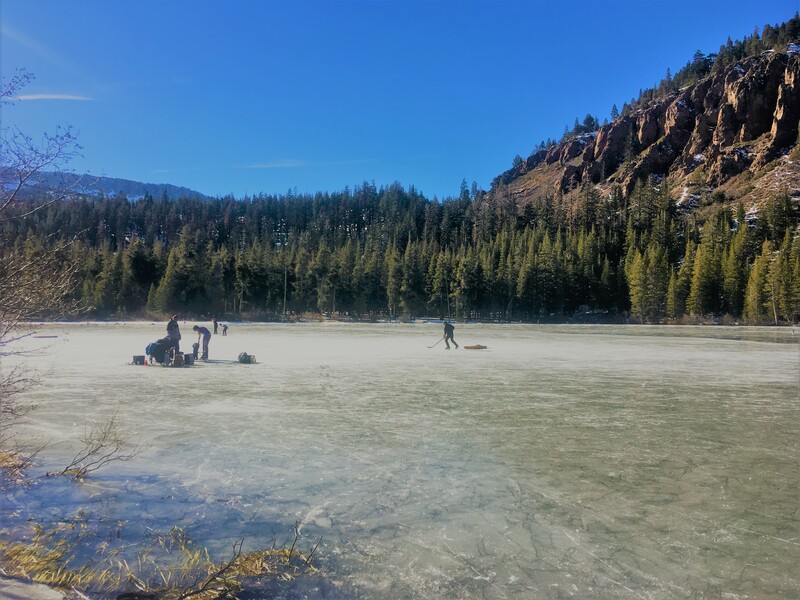 The good thing about the little snow is that the lakes are all frozen and clean: get ready for the best ice skating and hockey playing you can get! 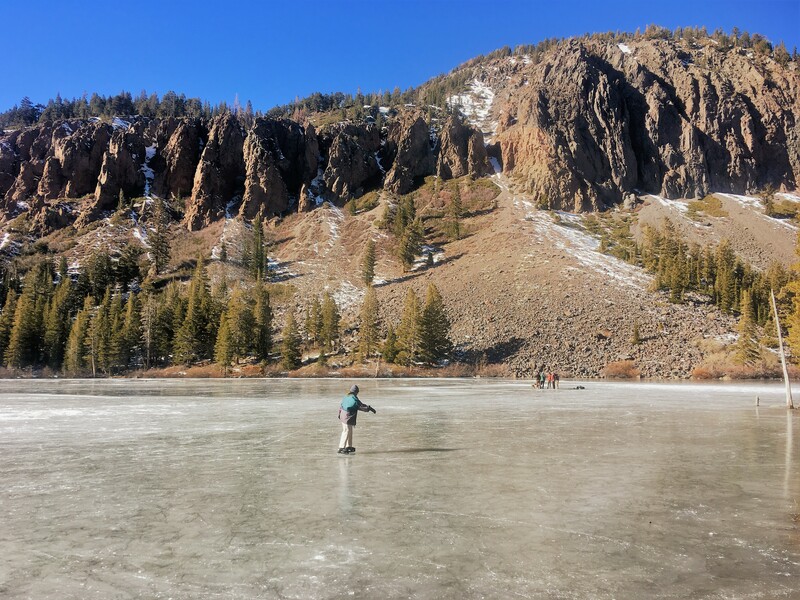 People have been skating on Mamie and Twin Lakes. Where is it that you can skate on the clean ice with stunning views like this!? We hope to see you out there: it doesn't matter what you'll be doing: that you're going for a walk, skiing, snowboarding, ice skating...when enjoying the outdoors, wins who has the most fun!